Think you have to get in shape to do jiu-jitsu? Think again. 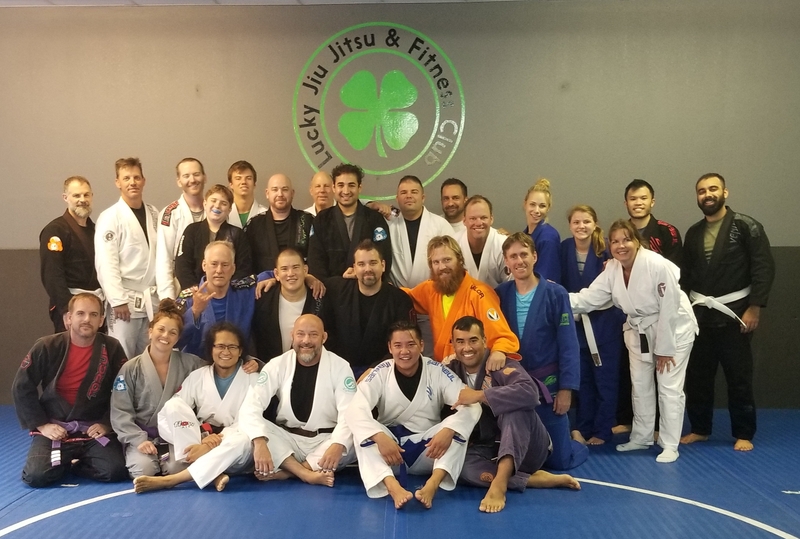 Jiu-jitsu is a great cardio and strength workout; and whether you’re a couch potato or you’re already in decent shape, your physique is going to change for the better. You’ll probably start noticing changes whether or not you improve your diet, but chances are you’ll soon realize that eating healthier helps you feel better while you train. It’s only a matter of time before the pounds start melting off and reveal a healthier (and sexier) version of you. If one of the resolutions for the new year is to stop being such a hermit and be more social, jiu-jitsu has you covered. Even though it’s technically a combat sport, there’s something about armbars and chokes that just brings people together. You and your teammates will put your lives in each other’s hands every time you train, and that kind of trust will build close friendships that you’ll maintain for years to come.